When they walk into Boggel’s Place, all conversation ceases. Fanny looks…gorgeous. As for Vetfaan, one can only look at his smile to guess what has happened. The two of them are, however, mildly surprised at the gloomy atmosphere. “Welcome back,” Boggel says unenthusiastically as he slides over two cold beers. “Ja, we’re glad to see you guys again,” Precilla adds in a quiet voice. Vetfaan stops, lets go of Fanny’s hand and scrutinises the small crowd. He exchanges a worried glance with Fanny before asking the obvious question. “Come on, guys. Don’t do this to us. Something terrible happened, didn’t it?” By now Vetfaan doesn’t have to speculate – he knows: whatever it is, it affects them all. 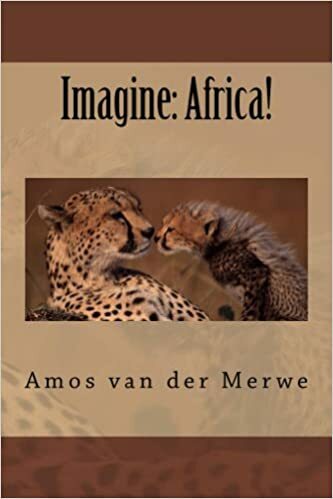 Fanny’s father phoned, soon after she and Vetfaan had set off into the veld. Nobody understood what was going on and when the man asked where his daughter was, they could honestly say they didn’t know. The yearly audit was scheduled for the beginning of May. Three days ago, the chauffeur dropped Henry at work, as usual. Everybody has to check in at Security before entering the massive building, but Henry didn’t. Somewhere between the curb and the check-point, Henry disappeared. Just like that. Into thin air. Not only is his family frantic about his safety, but as the Chief Financial Officer of his family’s conglomerate of companies, his presence is crucial for the audit. 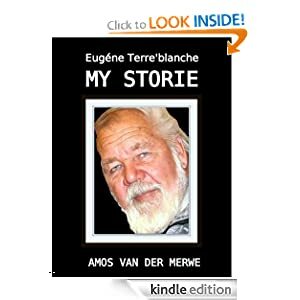 Fanny blanches, sways and collapses against Vetfaan’s chest. For a moment he is confused, upset, for why is she reacting this way? Surely their talk last night settled a lot of issues? She said Henry is a good, boring, friend – and that saying goodbye to him would be the easiest thing in the world. Now, however, she seems unsettled at the thought he might be in danger. Nevertheless, he escorts her to a chair, sits her down, and nods at Boggel. He knows what to do. In times like these, he serves double Cactuses, (Gertruida calls it Cacti) – the nodder will settle the bill later. Everybody suddenly remembers they had something to do. Servaas wants to see Oudoom in connection with Sunday’s service. Gertruida wants to fetch her knitting, it’s such a nice day on the veranda. Kleinpiet and Precilla has to check on something. (?) And Boggel says he has to get some dog food for Vrede at Sammie’s, he’s all out. Of course they do nothing of the sort. They all gather on the veranda and take turns to peek through the window. They won’t hear a word, but will know when Fanny is finished with the call. Fanny’s father is overjoyed to hear his daughter’s voice. Yes, Henry went missing. Not the faintest idea where he went, but apparently his passport is gone, as well. Oh, they’ve alerted all the airports, but so far, nothing has turned up. And yes, everybody’s worried. The provisional data – prepared for the audit – reveals a shocking state of affairs. There are major discrepancies in the figures. Henry, who controlled the financial aspects of his family’s companies, had apparently withdrawn huge amounts of cash since the last audit. With their suspicions aroused, the team of accountants employed to work under Henry now started following the trail of these funds. I’m sorry to tell you, Fanny, but Henry has been gambling with Futures and Forex on a massive scale. Hugely so. In the beginning he apparently had some success, but then the market turned and he lost almost all of the initial investments. Then he fell into the oldest gambler’s trap: using more and more money just to get back to square one. Banks have floundered because of such things. Somewhere along the line, the situation becomes completely unrecoverable. Their empire won’t survive this knock, Fanny, they’re practically bankrupt. Fanny replaces the receiver with trembling hands. Henry? A crook? A fraudster? Quiet, boring Henry – a gambler? Boggel shuffles in to refill her glass. Vetfaan is at her side, laying a soft hand on her shaking shoulder. Her eyes search the face of the burly man as if she wants to draw strength from his presense. Struggling with the words, she tells them the news. “Harrumph!” Gertruida lets out one of her rare snorts. “Good men? I’d like to see one.” Her attempt at humour fails miserably. “Listen Fanny, there’s something wrong with the thought that people are inherently good. Somewhere inside each of us is an invisible line we should never cross. But we do. Whether we gossip or steal or murder – it’s all the same. Once that line is crossed people change: maybe it’s something small or maybe it’s planting a bomb in Boston – the potential is always there that some person will do the unthinkable. This time, the fear in Fanny’s eyes is unmistakable. 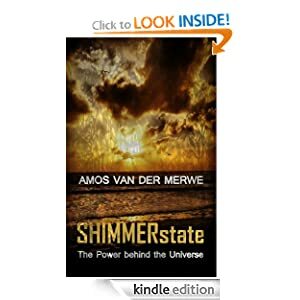 This entry was posted in smalltown short stories and tagged fear, fraud, love, postaday on April 20, 2013 by Amos van der Merwe. Like any good story teller should, Vetfaan sits back, gives a guffaw and signals for a new beer. He seems oblivious of the anxious faces around him as he starts sipping. The silence stretches on. “Oh, come on, Vetfaan! What happened?” Servaas is in no mood for suspense. Boggel can see this is going nowhere. He has a sudden flashback to the dark little room behind the pantry in the orphanage. It was once used as a store room for extra supplies, but the dwindling support of the orphanage eventually ensured that it remained empty. Once it had been a place of plenty – later it was useful as a mini-torture chamber. Oh, there weren’t all kinds of racks and electric wires and red-hot irons – it was much worse than that. The darkness and the silence saw to that. Old Mister Kotze saw to that. He was an expert. It started when Mister Kotze slipped on the crumbling step up to the kitchen. He’d sneak up there after the children had been (forcefully) put to bed and the lights were off. That’s when the old man unpacked the donations that came from Women’s Organisations, congregations and other well-meaning individuals. And that’s when he gorged himself with all the chocolates and sweets that should have gladdened the orphan’s hearts. So, when he fell, the children said a collective prayer of thanks, renewed in their faith that God, indeed, was on their side. For a day they marvelled at this justice. Mister Kotze broke his right arm, the one he caned them with for any and all insignificant reasons. Their reprieve was short-lived. Kotze started using the dark little room to mete out his perception of justice. First, he’d give a long and angry speech to his victim, calling down the wrath of all that’s holy on the hapless child. Then he’d describe – in graphic and lurid detail – how the demons and the devil will visit that dark room to torment the prisoner because of his or her unspeakable sins. The reasons for confinement were many: ranging from an untidy pillow on the bed, to a speck of dirt on the old yellowwood floor. Mister Kotze was famous for his reasons – he thought them out as he went along from bed to bed on the morning inspections. Boggel – like the rest of the children – spent many hours in that room, fighting the monsters that lurked in the dark. Some children couldn’t stand it, and would shout and scream hysterically for hours at end while Kotze smirked and told everybody such are the wages of sin. Grietjie Maritz made drawings of the demons that tormented her. The other children looked and said yes, that’s exactly what they saw, too. That was one of the few times the orphans actually saw Mister Kotze laughing. He really enjoyed those pictures. Later, he confiscated them and used it as visual aids during his pre-confinement lectures. It proved to be very effective. Grietjie didn’t draw any pictures after that. Life is full of coincidences. 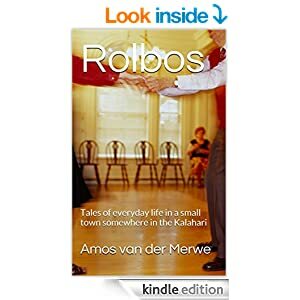 When Boggel had to leave the orphanage at the age of eighteen, two other boys – Bangbroek le Roux and Snotneus Pretorius – also celebrated their last day as official orphans. They were adults now, on their way to Upington to find their way in the big, wide world out there. A world without little dark rooms, where demons eagerly awaited your stay; to torture you about your many sins and inadequacies. No Mister Kotze to inspect the way you arranged your socks on your diminutive shelf. No long, drawn-out lectures of what an excuse for a human being you are. Where you can buy a chocolate bar and enjoy it openly without the fear of the horrible old man snatching it from your grasp. And it was the three of them – almost-grown men with a too-old grudge – who took Mister Kotze and locked him up in that room. They thought it was funny. Maybe they thought it was revenge. Maybe it was the most natural thing to do. Whatever they thought, did not include the old man going stark, raving man in the darkness of that room. He lost it completely. When the kitchen staff reported for duty the following day, only his pitiful mewing alerted them to the prisoner in the little room behind the pantry. Boggel visited him once; there, in the padded cell in the asylum in Kimberley. He hitch-hiked all the way to say he’s sorry, he didn’t mean it like that. He came back two days later with a sheaf of drawings. Horrible pictures. Little-dark-room demons with fangs and talons and teeth; all of them holding forks in their too-small hands. Hands like children’s hands, fitted to devils with fire in their eyes. Boggel burnt those pictures. All of them. Vetfaan pretends to wake up from his reverie, shakes his head and says oh! again. “No, it wasn’t a landmine, after all. I ran off and nothing happened. Then I went back and found it was an old sardine tin. It was rusted, and when I put my foot on it, the tin collapsed, making the sound.“ He gives an embarrassed laugh. “While I was standing there, wetting myself from fear, it was only a sardine tin. I was afraid of something that didn’t exist… My imaginary landmine didn’t exist…” He repeats himself, shaking his head in wonder. To be afraid of a sardine tin..! Boggel gets off his crate to fetch fresh beers from the store room at the back. Making sure the light is switched on, he collects the bottles and carries them back to the bar. If only we knew where the sardine cans are hidden in life, he thinks, and where the real landmines await the unwary foot. But, he decides, most demons need a Mister Kotze to give them life. Fear is a natural phenomenon; but terror is a learnt skill. You have to study it to become an expert in it. Boggel knows this for a fact. 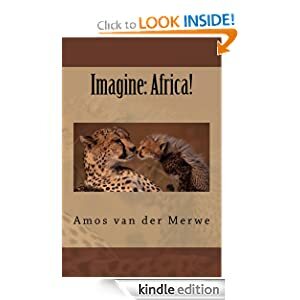 This entry was posted in smalltown short stories and tagged daily post, daily prompt 1984, dark room., fear, landmine, orphanage, postaday, terror on January 10, 2013 by Amos van der Merwe. Mary Mitchell pulls at the simple frock she’s wearing. It’s the same faded one she had on when she joined the convent, but the intervening years has been harsh; she’s lost quite a bit of weight. In the convent hairstyles didn’t matter so much, so the mousy mop tumbles in an untidy cascade towards her neck. “Not to worry, Miss Mitchell. In this bank we don’t care what you look like; if we can be of service, that’s the thing that counts.. I must say, it’s a bit of a surprise to see you. We have been looking all over for you for – let me see – close on two years.” The manager (the little plaque says he’s Mister John Brown) composes his fingers in a perfect steeple. This young lady phoned him a day ago, asking for an appointment. She said she had away for a while, and now needed to take control of her affairs once more. Mary doesn’t offer any explanation. She basically wants to know if there is any money in her account, and if she can apply for a personal loan to tide her over until she’s back on her feet. Mr Brown rocks back in his chair slowly, allowing his eyes to rove over the thin woman with the sad face. “I have to get clothes … buy things…” she doesn’t trust her voice to continue any further. For a moment Mary feels faint and dizzy. She grips the arm rests, squeezes her eyes shut, and takes a deep breath. After a second or two, the feeling passes. This time, everything does go black for a few seconds. Fighting for control, she forces herself to concentrate. Mr Brown notices her discomfort, gets up and pours a glass of water which he hands to her. Breathing deeply, Mary takes the glass with a trembling hand, sips the water and tries to calm down. It’s ironic, she realises, that the man who wrecked her youth now emerges as the saviour of her future. In life he destroyed her; in death he rescues her. Then, for the first time in her life, she books in to the Oasis Casino Hotel, asks for their presidential suite – and orders room service, a massage and a bottle of champagne, to be delivered in that order. After a long, hot bath, she dresses in the transparent French nightgown she purchased, pours the champagne and picks up the phone. Yes, she wants a vehicle only tomorrow, thank you. Say … at about nine? No, she’s not sure for how long, but she has this new credit card; would that be alright? Yet, despite the luxurious feel of silk against her skin and the bubbling glass in her hand, she experiences a new fear. She can’t really put her finger on it: it’s a dull, vague sense that everything isn’t right. For so long her fear centred on her father, and the many childhood memories of what he is – was – capable of. Now that he’s finally gone, it is as if he left a void that must be filled by some other dread; something equal to the horrors she had been used to. Boggel. Tomorrow she’ll see him again. Last time she visited Rolbos, it was abundantly clear he was smitten by that Italian vixen. Oh, they had a good chat on the way to Rolbos that day. Lucinda told Mary about her life and the many places she had been to. That, and the men. Men seemed to find her attractive, and quite unable to keep their hands off her. Lucinda bragged about that, but then said she wanted to escape from the endless superficial affairs to settle down with a loving man. For some strange reason, women find this type of personal conversation quite natural; and that day Lucinda told Mary more than she would have liked to hear. Boggel’s reaction towards Lucinda was the final straw. Had he had the courage to mention his feelings towards the pretty Italian, it would have been easier. But the way he looked at her was enough. Mary had hoped – secretly – that Boggel would plead her not to go to the convent. Yet, when she told him about her plans, he seemed almost relieved. Despite her luxurious surroundings and the crisp bubbles of the champagne, Mary shivers as the old fear fights to get its talons into her mind again. But … Boggel did write to tell her he’d like to talk to her, didn’t he? Just that…Talk. Did he rethink his fascination with the Italian? Or did they want to get married and he wanted to tell her personally? Well, tomorrow she will surprise him. With no prior warning, she’ll be able to see for herself what has transpired in Rolbos. If Boggel is lost to her, she’d have to make peace with it. She’s young enough to start over again … or is she? But without Boggel … ? The Presidential Suite usually gets used for honeymoon couples and dignitaries. The bed is wide and soft and has many plush cushions. Usually it is a happy place of celebration and laughter. But not tonight. Mary selects the most appropriate cushion to cry on. Sad tears. Fearful tears. Anxious tears, because tomorrow will determine the rest of her life. Ere the convent vows enslave me. This entry was posted in smalltown short stories and tagged fear, fortune. postaday, love on November 23, 2012 by Amos van der Merwe.